Awais Iftikhar, a young Pakistani who is hearing and speech impaired, joined our Khalidiya Theatre tribe on 1 April 2015. We discovered Awais when his father’s colleague, who had heard about our Challenged Employee programme, passed on his CV to our Sales Manager. Following the interview we immediately offered him the position of part-time Salesperson Assistant and were thrilled when he accepted. Awais turned out to be a real all-rounder. Eager to learn, he quickly adapted to all his tasks and soon made friends with everyone in the Theatre. Working six hours a day, five days a week, his responsibilities include pricing products, replenishment, cleaning and packing, but he regularly goes the extra mile by also supporting other departments, like Decoration with painting. 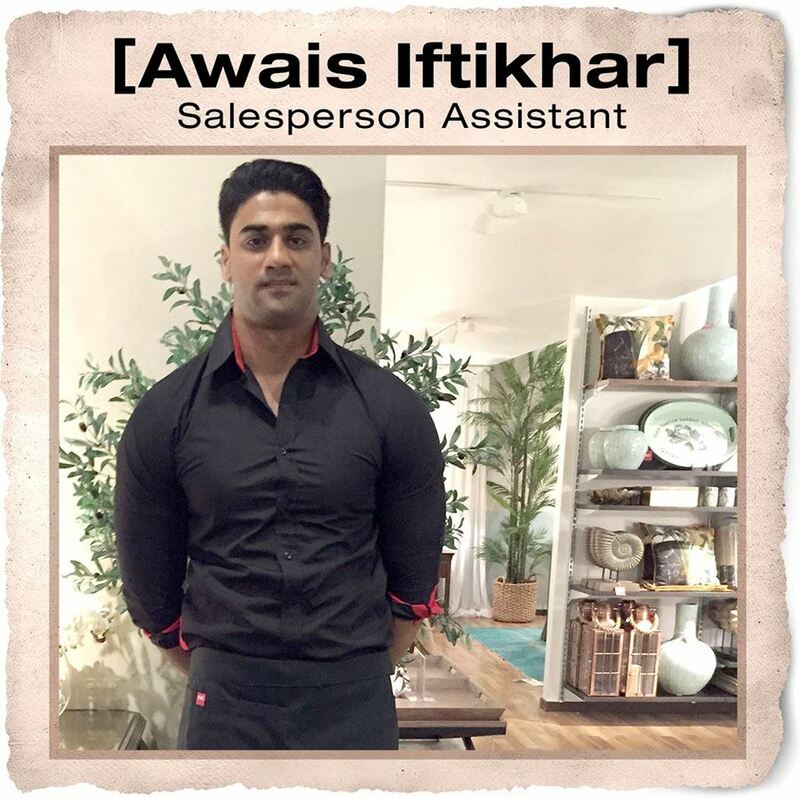 In his spare time, Awais enjoys going out with friends, playing cricket and working out in the gym, which seems to be doing the trick as he is able to carry around a sofa as if it was a loaf of bread!